All important topics and dates are published on this site. Please be invited to visit this site occasionally. 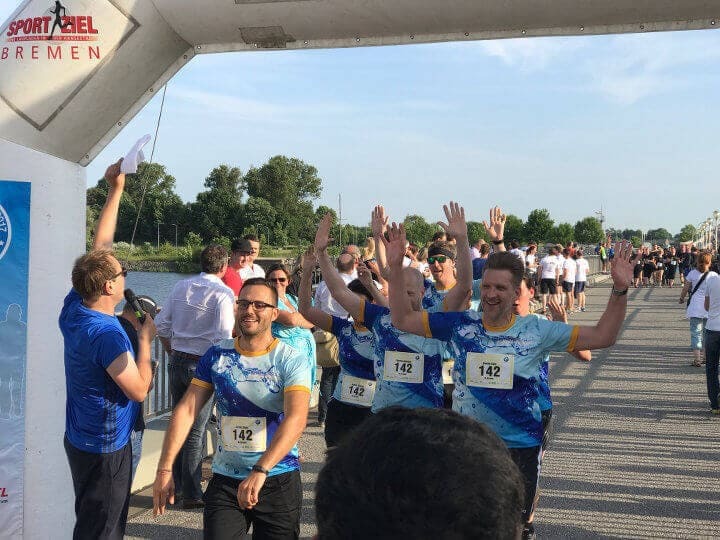 Our company is growing continuously. You will always find the most recent developments, an overview of publications or press releases on our website. It also provides an overview of upcoming events and exhibitions at which the Krone Filter Solutions Team is present. 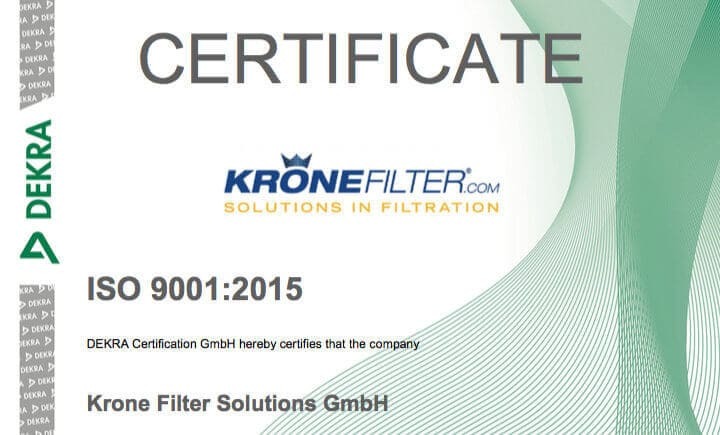 Your Krone Filter Solutions Team! 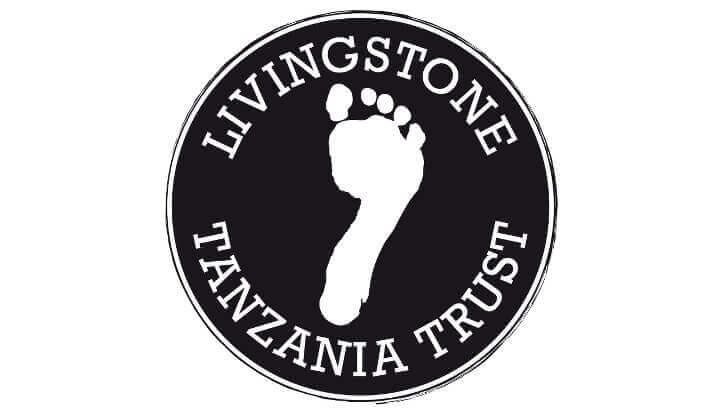 Our exhibition dates can be found here! 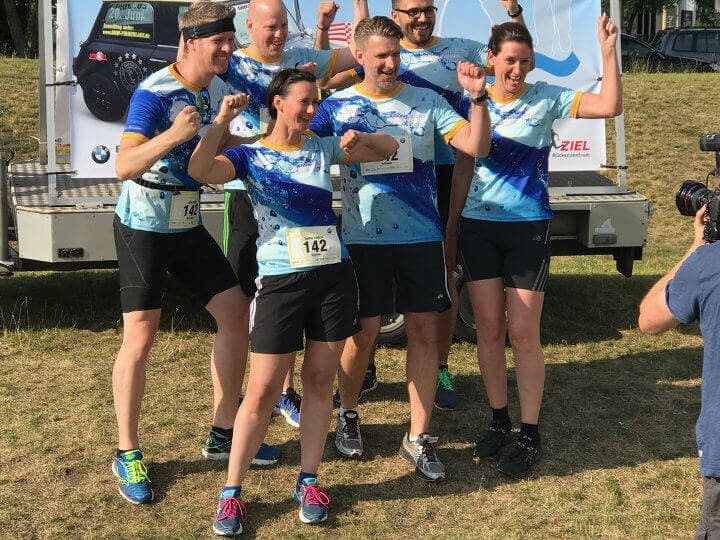 Krone Filter Solutions staff started and arrived well with great teamwork on the 2017 charity company run event in Bremen! Krone cooles G20 summit starting on 7th July 2017 ... 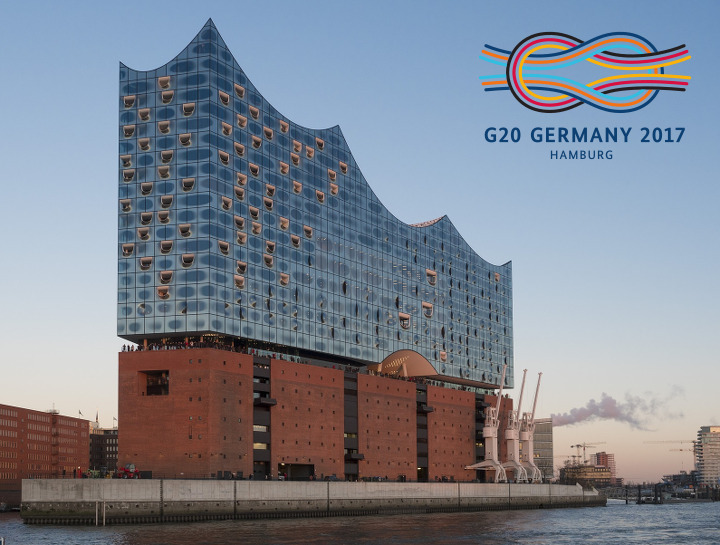 The new flagship building Elbphilharmonie Hamburg will host the G20 summit with all the most important world leaders – Krone KAF Bernoulli filters are filtering Elb river water and serve the modern cooling process with filtered water for the modern air conditioning system. 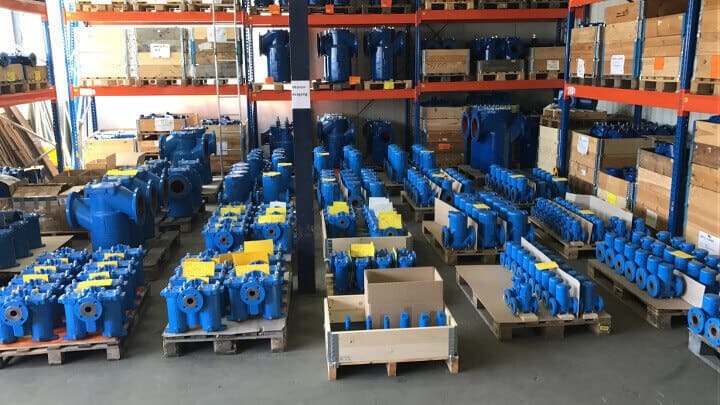 Increased worldwide large project deliveries for Krone filters - Krone large stock for deliveries of KSF strainer / basket filter DN 15 - 600 and KDF-K duplex strainer / basket filter DN 15 - 600 allows "just in time" deliveries for projects. 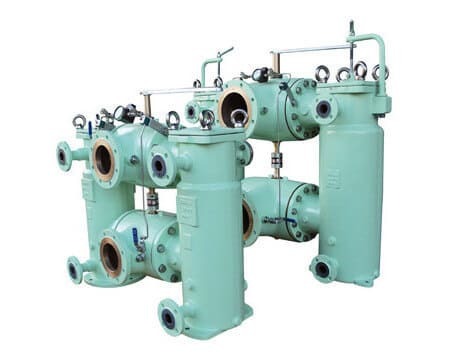 The product range is Lloyds Register LR type approved TA & tested , CE conformity evaluated - allowing the use in many industrial applications from water to hydrocarbons. 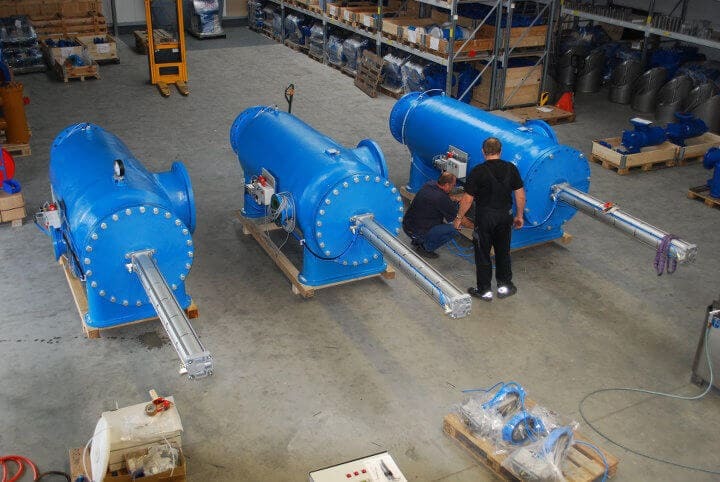 10 year anniversary in 2017 since the delivery of 3 Krone Bernoulli units 24” KAF. 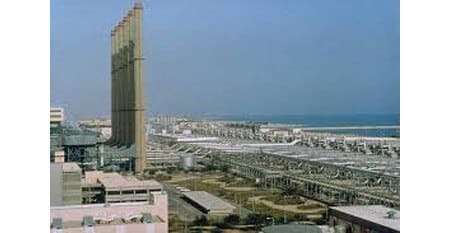 The King Abdullah University of Science and Technology (KAUST) in Thuwal, north of Jeddah in Saudi Arabia, required a desalination RO based technology plant for the university buildings and its accommodation. The plant was designed with a capacity of 40,000m3/day with the facility to increase to 50,000m3/day in the future, as and when required. The huge advantage of Krone KAF self cleaning auto Bernoulli filters was that they can work without pumps in front – just with the water column pressure of the red sea level! Only 0.2 bar is sufficient to run the KAF filters in fully automatic mode. 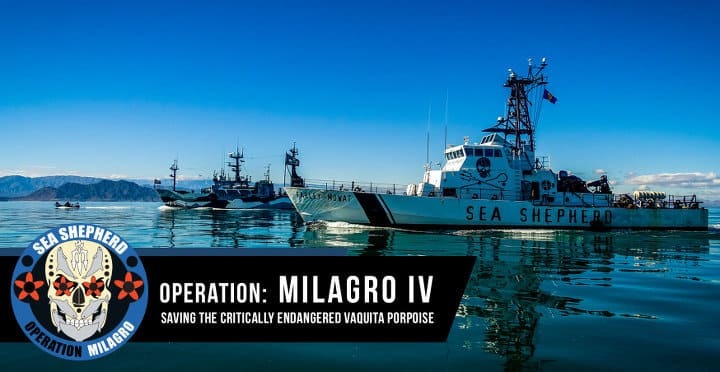 Operationally, water is abstracted by pipeline form the Red Sea and filtered by 3 KAF 24” Krone Filter Solutions Bernoulli filter units and then pumped through 4 Superflux filters, prior to being processed through cartridge filters and the four Sea Water Reverse Osmosis (SWRO) units. 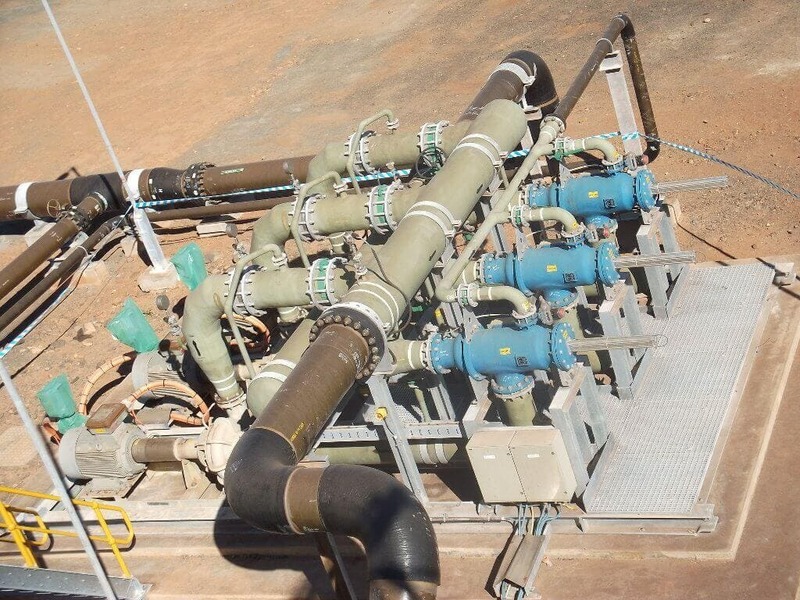 Energy recovery is achieved using Pelton turbines thus reducing the energy consumption of the Reverse Osmosis (RO) plant. The treated water from the first stage is used as potable water for the university and irrigation water on the site. A further second pass Brackish Reverse Osmosis (BRO) system is included to produce water for the central utility cooling system. 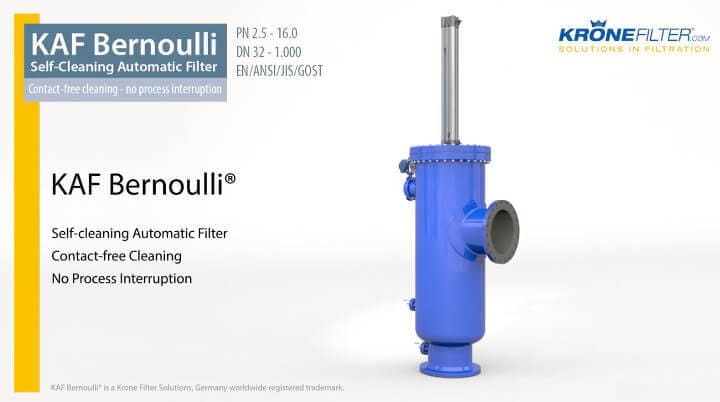 Self cleaning filter automatic filter KAF with low maintenance & low cost spares Burrup desalinization filters Krone KAF 12” / DN 300 Bernoulli® Filters run for 10 years without spares – internals in Titanium make it possible. 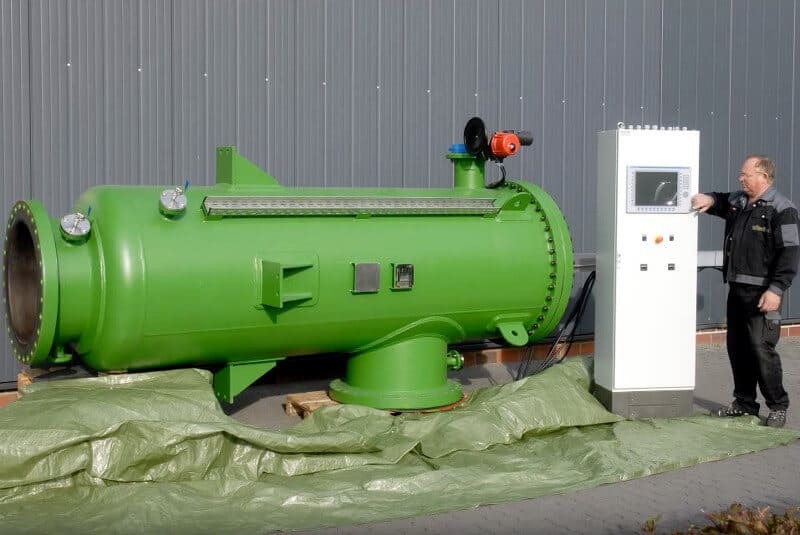 The desalinisation units are based on the Multiple Effect Distillation technology (MED). 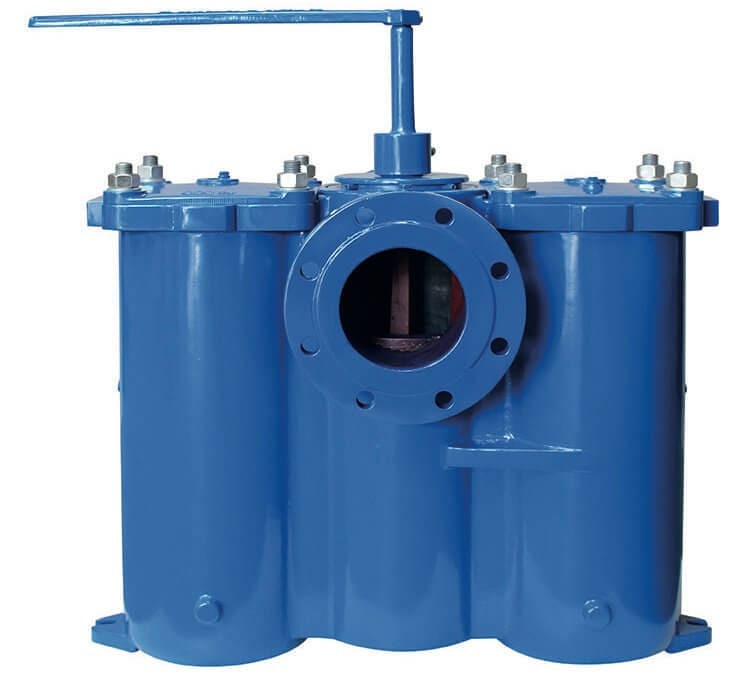 They are composed of two evaporation cells under the thermcompressor. 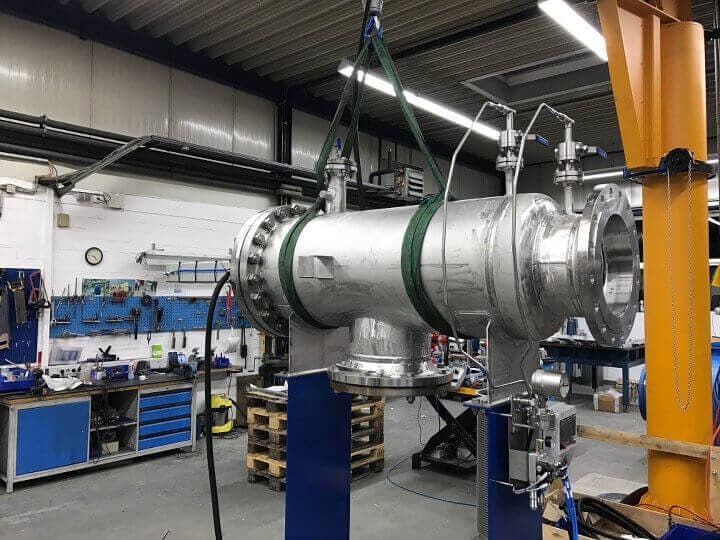 Krone delivers 2 x self cleaning KAF 32" / DN 800 self cleaning seawter KAF Bernoulli filters for a 1,200 MW supercritical coal-fired power plant in Malaysia. The units are manufactured acc. ASME VIII Div. 1 and U-Stamped as well as DOSH certified and equipped with special redundant LCP´s and capillary DPT measurement, titanium inserts super duplex internals. 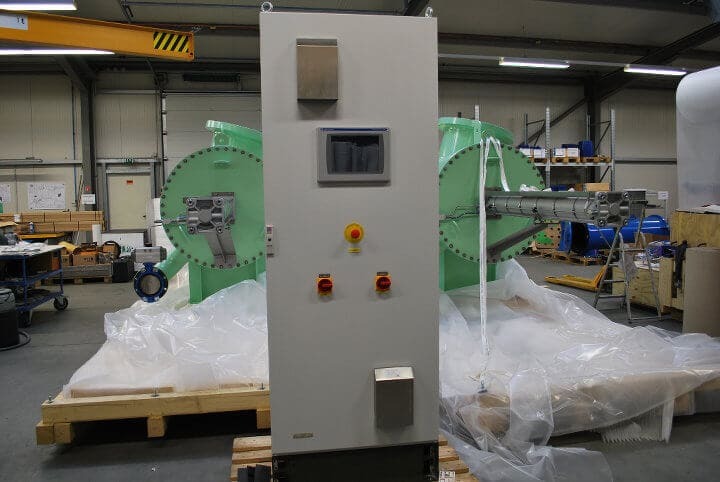 The filter will protect PHE´s - Plate Heat Exchanger. 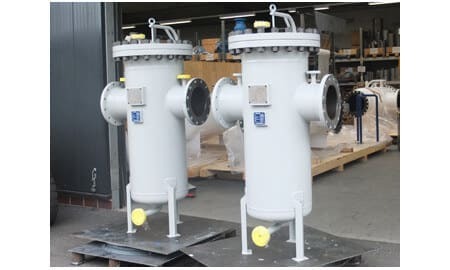 Filter assembly and FAT for a PN 25 DN 400 self cleaning filter KAF Bernoulli (r) for brine with a temperature up to 180 degrees Centigrade. Filter MOC 904L . PED Modul G certified. 2 KAF-S spindle motor actuated 20" Krone Bernoulli Filters for 2500-3000 m3/h 500 micron filter degree superduplex weged wire mesh URANUS B52N+/ vessel design built acc. ASME VIII Div. 1 - U-stamped / delivered to a power plant on the Nile river. The units are controlled by redundant Rockwell CPU´s and modern diaphragm dp measurement systems surveills the differential pressure. 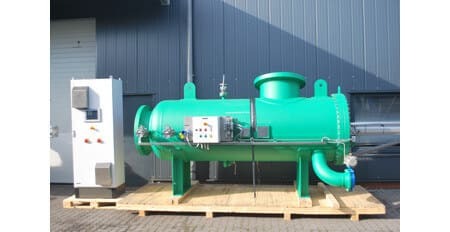 Krone manufactures 12 x KAF Bernoulli self cleaning backflush filter JIS 300 (DN300) in cast iron EN-GJS-500-70 / with LR approval for a asian LNG Terminal with a filter capacity of 750-900 m3/h seawater with 1 mm filter mesh. 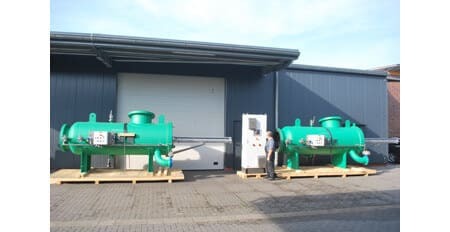 CCPP power plant - start up of 2 x DN 800 KAF Krone Bernoulli filters units CS-rubberlined for the filtration with 500 micron of 5500 m3/h seawater in a power plant based on the Balkan peninsula. Krone delivered in total 22 filter units from cooling water to condensate lines for this modern power plant on the Balkans. Krone Filter Solutions supplies 6 units KWF inline basket filters and self cleaning backflush KAF filters from size 14“ to size 20“ for a desalinisation plant in North Obhor / 45 km from Jeddah in Saudi Arabia, the units are filtering sea water with filters mesh from 1 mm to 2 mm and are designed and stamped acc. ASME VIII Div 1 and U-stamped. The filters are fully autoclave rubberlined with 4 mm hard and soft rubber and have wetted mettal parts in titanium (titanium perforated plate) and super duplex SS. Filtering capacities from 900 m3/h to 2700 m3/h seawater. The self cleaning filters are working according the Bernoulli principle and are designed for a minimum 30 year lifetime. 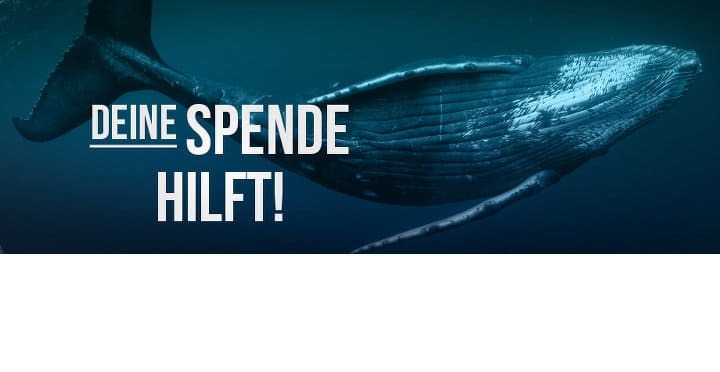 New german deep sea research and exploration vessel „SONNE“ (sun) christening by chancellor Merkel / special KDF-V filters from Krone Filter Solutions on board. 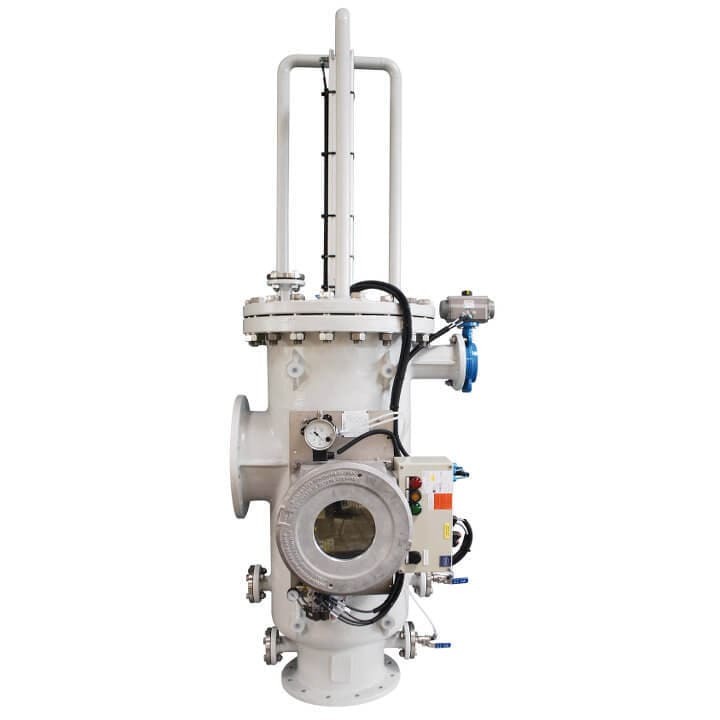 Krone delivers KDF-V duplex filters made with a switch device in bronze CuSn10 / Rg10 2 x 8” and 2 x 5” and filter vessels 4 mm rubberlined cast iron EN-GJS-500-7 for the most modern deep sea exploration vessel. The inserts are made of titanium perforated plates. 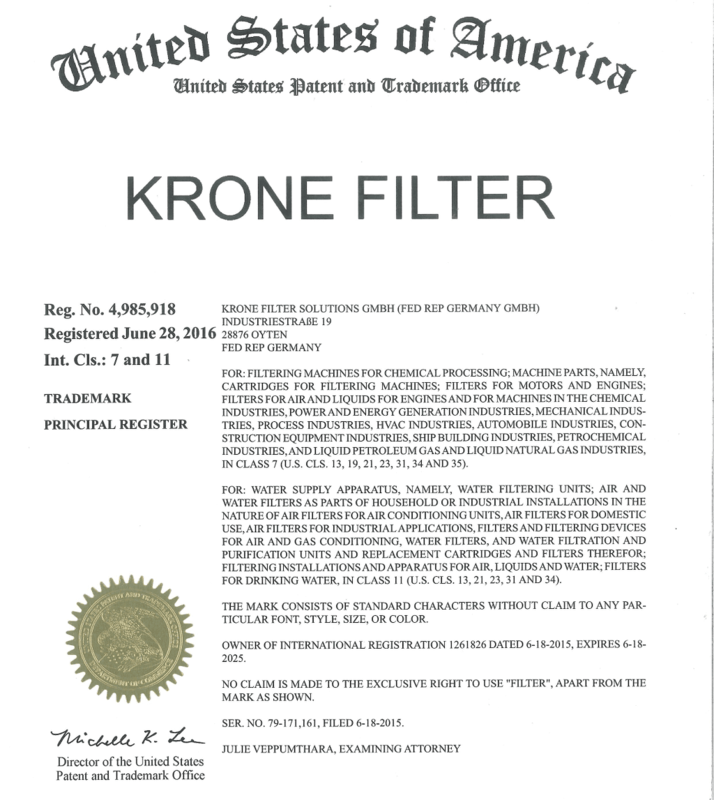 32" Self cleaning filters - Bernoulli filter principle - manufacturer Krone Filter Solutions Germany. 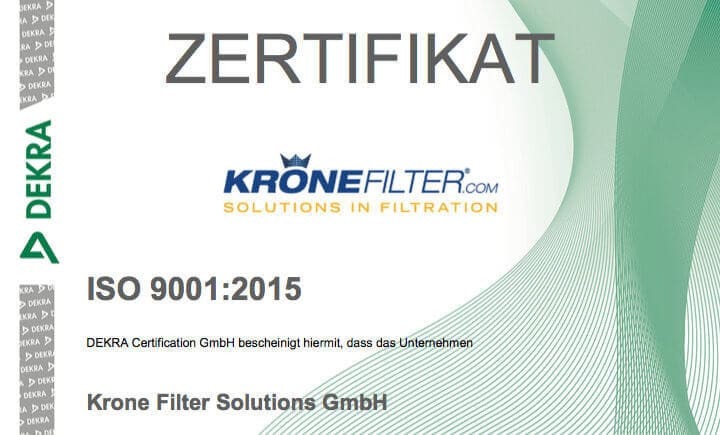 Krone KAF Filter 2 x DN 500 CS-rubberlined with flowrates of 3300m3/h and 4 x DN 600 CS-rubberlined with flowrates of 4400m3/h both @ 300 micron mesh will protect UV-sterilisation reactors and guarantee their better performance. 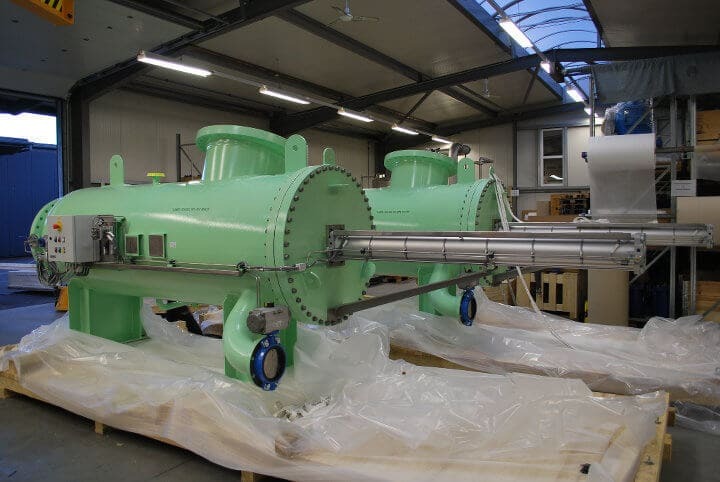 Krone delivers 2 x self cleaning KAF 32" / DN 800 self cleaning seawter KAF Bernoulli filters for a 1,000 MW supercritical coal-fired power plant in Malaysia. The units are manufactured acc. ASME VIII Div. 1 and U-Stamped as well as DOSH certified and equipped with special redundant LCP´s and capillary DPT measurement, titanium inserts super duplex internals. The filter will protect PHE´s - Plate Heat Exchanger. 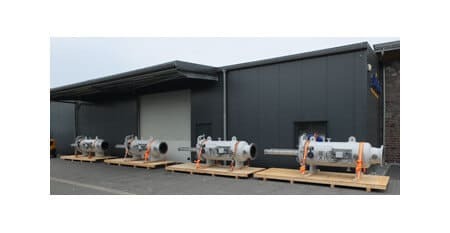 Seawater self-cleaning backflush filters: Krone delivers 4 units KAF self cleaning Bernoulli filters 18“ IN/OUT for a capacity of 2500 m3/h seawater @ 1 mm titanium filter mesh. The filters are protecting plate heat exchangers from clogging. 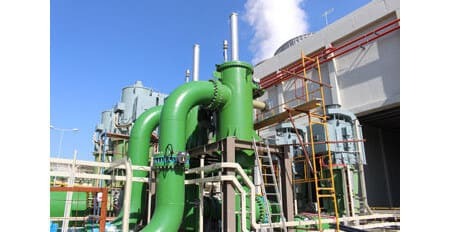 Shoaiba II is a combined cycle power plant with capacity of 1200 MW, the Shoaiba II Power Plant is a project ordered by Saudi Electricity Company to address the power shortage problem in the western area of Saudi Arabia.